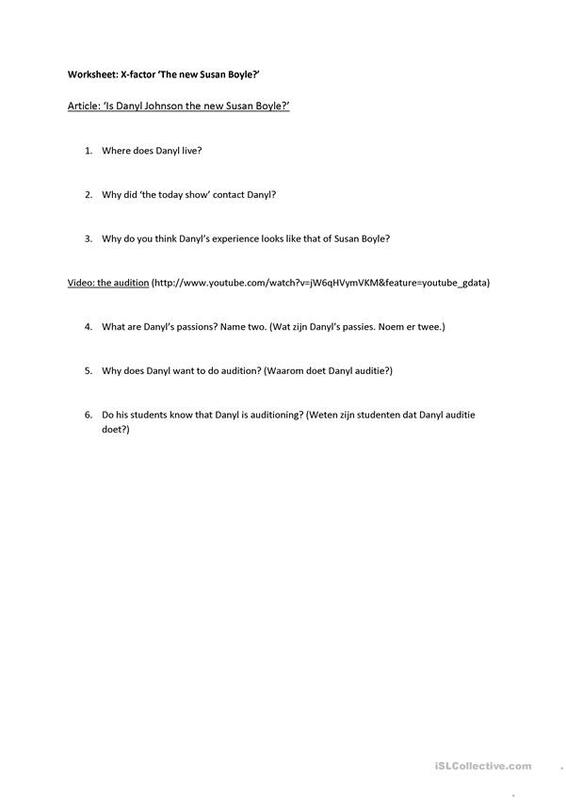 A fun Reading and Listening excercise about youtube star, Danyl Johnson, whos audition was a megahit on youtube, just like Susan Boyles audition. The above downloadable handout is a great resource for high school students and elementary school students at Elementary (A1) and Pre-intermediate (A2) level. It can be used for enhancing your learners' Listening and Reading skills. It features the theme of Music. Petricia is from/lives in Netherlands and has been a member of iSLCollective since 2012-02-03 10:36:31. Petricia last logged in on 2012-02-03 10:36:31, and has shared 1 resources on iSLCollective so far.